Stresses and depression are among the most topical social problems in our modern society, along with the issues of obesity, AIDS or drug dependence. People feel stressed, worried or depressed very frequently and in many different situations. The majority of anxiety and stresses are connected with our activities at workplace, family matters or emotional connections. Depression is a regular psychological effect of stresses. Long lasting chronic stresses can cause permanent anxiety, settled melancholy and depression, which can bring to real clinical mental disorders. For decades it was a usual practice to recommend such treatments as psychological therapy, traditional antidepressants, serotonin reuptake inhibitors and relaxants for coping with depression. However, recently a number of herbal remedies, including Valeriana, Lavandula, Melissa, Passiflora, Matricaria, Hypericum perforatum and many others, which can help to treat anxiety and depression in a natural and safer way, appeared at the market. It is especially advantageous for those who have different allergies or contraindications for taking antidepressants. In particular, Hypericum Perforatum or St. John’s Wort extract, is a proven effective herbal remedy which has been used for many years to facilitate the effects of depression by European specialists. The experiments proved that this natural treatment works as well as modern medications like Prozac and others. Another remedy containing extract of Ginko Biloba is also used to help patients ease depression as it stimulates blood circulation, improves memory and mood. Natural amino acids extracted from Griffonia Simplicifolia are also used as effective remedies for depression. Besides, there are a number of herbal supplements (including Amoryn, etc.) created for those who suffer from chronic depressions. Finally, there are herbal treatments that can be recommended to those people who need to calm down their emotions or physical symptoms of depression. For example, extracts of Passion Flower or Valerian root are very popular herbal remedies which have great tranquilizing effects, help to relax and improve the quality of sleep. 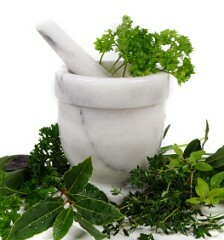 For effective treatment of anxiety and depression, it is very important to combine herbal therapy with other stress and depression management techniques. The most popular methods suggested by modern psychologists include talk therapy, diet, rest, entertaining activities, relaxation, therapeutic massage, positive thinking and visualization, meditation, yoga and many others. Good post!! And really St John’s wort is proven to work among with other herbs..
need from your paleo diet supplements and only aim to get what you actually, really need. types of means of resources.